My sweet Dear Bebe, my helpful hubby, my family, and my home. And they're going to be here for Thanksgiving. I've got lots of work to do. This was the table last year. 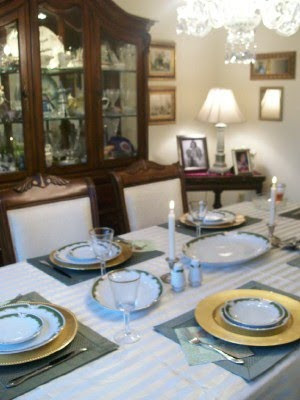 Each year I pull out everything I've got and somehow I manage to lay out a different tablescape than the year before. It is the part that I enjoy the most. Thank goodness my Dear Hubs doesn't mind all of my questions. Like "What do you think? Gold with green? The white with gold? My Great Grandmother's china with the pink in it and a vintage tablecloth? 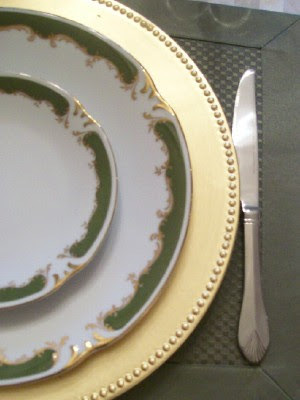 Or how about this china we bought at the auction?" He helps me stay on track but the bottom line is... it doesn't really matter. What really matters is having everyone here on Thursday, spending time together. A Happy Thanksgiving to you this week. I'm thankful for my blog friends, faithful readers, and customers. Blogging has been such a blessing, thank you! Pretty table! Sounds like you're going to have a very blessed day. Thankful for you to my friend! Your table from last year looked beautiful and I'm sure this year will be equally so! I've been invited to my nieces's so I don't have to cook this year! Happy Thanksgiving, Jillian! Your table looks lovely! Enjoy your Family time! It looks gorgeous! I am so lucky this will be the first time in 100 years that I am not cooking Thanksgiving dinner YAHOO.....but I am going to miss having all the left overs!! Happy Thanksgiving to you!! Lovely tableware, good food and lots of laughter. These are the things we remember from year to year. Happy Thanksgiving back atcha! Love to hubs and Bebe and may your turkey drip with goodness onto every lovely platter on your table. I got gold charger plates this year for the first time. 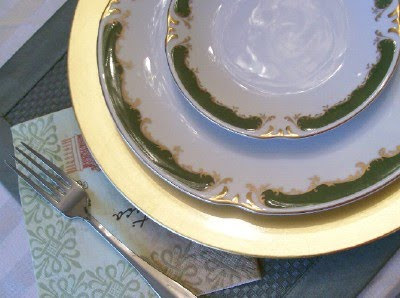 Hoping they'll look the deal with the Windsor dinner plates. Photos to follow, of course! Hope you had a lovely and cozy Thanksgiving, Jillian. I just know everything was lovely!